Stefan van Aruba, best show result dutch stallion inspection jan 2013. Black stallion Stefan van Aruba scored again extremely good on dutch stallion inspection january 2013 in the village Marienheem. Stefan was rubric winner , again with 1st premium and was excellent during champion ship runs. In 2012 Stefan van Aruba was already dutch reserve champion on this stallion inspection. 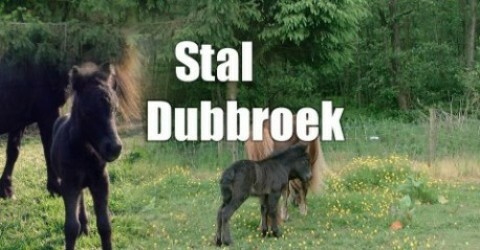 All our mares are pregned now of Stefan van Aruba. Stefan is also an excellent breeder, his sons and daughters are very succesfull on shows and premium inspections.